Maintaining the wrong level of humidity in a room, building, or enclosed space can impact health, interfere with storage conditions and damage expensive possessions. Whether you're monitoring your home's humidity levels, operating a greenhouse, ensuring proper storage of cigars, or caring for your animals—measuring the relative humidity is essential. The best way to measure relative humidity in a particular space is with a digital hygrometer. In this article, we share our reviews of the top hygrometers on the market, including the best model for humidors, for home use and the most accurate overall. What is the Best Digital Hygrometer for Humidors? What is the Most Accurate Hygrometer? A hygrometer, sometimes known as a humidity meter or humidity gauge, is a device for measuring humidity in the air. In other words, hygrometers measure the amount of moisture in a particular environment, usually by calculating temperature and pressure changes. There are many types of hygrometers, including electrical or digital hygrometers, psychrometers, mechanical hygrometers, and dew point hygrometers. Digital hygrometers are often used in industrial premises, greenhouses, and other outdoor spaces, for quick and accurate humidity readings. There are also many personal and indoor uses for humidity meters, such as keeping food storage spaces moisture-free, preserving cigars and monitoring wine cellars. Here is our list of the best hygrometers on the market with reviews and ratings. We’ve done the research and testing—along with reading real customer reviews—to offer our recommendations on the best models for every application. Our top pick is the Temp Stick remote hygrometer from Ideal Sciences. This sensor monitors both temperature and humidity conditions. It can be connected to any WiFi network, so you can receive email or text alerts when the temperature or humidity exceeds your pre-set limits. Made in the USA, this remote hygrometer is a precise and versatile option to continually monitor conditions in any environment, from just about anywhere. Unlike some wireless hygrometers, it’s extremely easy to set up in just a few minutes and it's factory calibrated (you can also adjust the calibration if required). It requires only two AA batteries, and users report battery life between six and 12 months depending on usage. You’ll also get an automatic alert if the batteries are low, to minimize any downtime. We found the Temp Stick to be a highly accurate and reliable wireless hygrometer, designed to work in conditions from -40°F to 125°F (accurate to ±0.4°C), and track relative humidity from 0% to 100% (accurate to ±4% RH). We also loved the ability to view your entire history of readings through the app. Monitoring is easy, using an intuitive app available for both iPhone and Android devices. There is also a web-based version available for monitoring via your computer. Connect an unlimited number of sensors to monitor multiple locations within one account. Choose how often the Temp Stick takes measurements, every 5, 10, 15, 30, or 60 minutes. Set custom triggers for alerts (e.g., alert you when humidity reaches a particular measurement). Include up to 10 contacts to receive alerts. Although the Temp Stick is a more expensive option compared to other devices in this guide, the long-term value is high because there are no subscriptions or hidden fees that you'll typically find with other remote temperature monitors. Plus, the built-in WiFi connectivity, the intuitive app and the excellent reliability of the Temp Stick makes this device a worthwhile investment. If the Temp Stick is out of your budget, then the next best hygrometer is the SensorPush. This digital hygrometer is a great option for monitoring humidity conditions within your home. In ideal conditions, with no obstructions, this sensor has a 325-foot range via a Bluetooth connection. 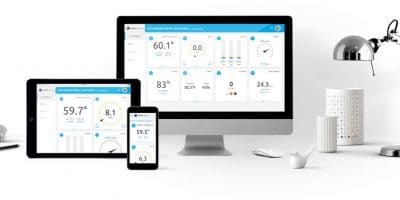 There is also an option to purchase a WiFi gateway device to get alerts from anywhere, similar to the Temp Stick—but the gateway is an expensive and bulky accessory in comparison to the compact and small hygrometer measuring unit. The SensorPush takes readings continually (every minute), and can store up to 20 days of data within the device itself. So, if you are away from your home, whether for an hour or a week, the SensorPush keeps monitoring and stores the data to be retrieved once you reconnect. Like the Temp Stick, unlimited data is stored in the easy-to-use SensorPush app (available for iPhone and Android devices). This device is also flexible and versatile, with the ability to monitor an unlimited number of sensors. Each sensor can also be monitored by an unlimited number of users. Users report that setup is easy, and the sensor runs on a CR2477 coin cell battery (included), providing over a year of battery life. In addition, the Swiss-made sensing component in the SensorPush ensures reliable, accurate measurements. We found the SensorPush to be a high-quality hygrometer that's very easy to use, plus it's more affordable than the Temp Stick. However, if you need remote monitoring outside of your home you will need to add the WiFi gateway device, and then the cost increases significantly. For the ability to monitor humidity and temperature conditions from anywhere—we do prefer the Temp Stick, but the SensorPush is an excellent option for around the home. A common use for hygrometers is within a humidor, which is used for storing cigars in a controlled environment. After researching and evaluating several options, we prefer the Caliber 4R by Western Humidor for use in cigar humidors. The Caliber 4R is an affordable yet advanced humidity sensor, almost as accurate as a high-end laboratory hygrometer it measures within ±1% RH with a range of 20-90%. It is a small device with an elegant and classic analog design, making it a perfect solution for your humidor. It comes factory-calibrated, but you can also adjust the calibration as required. Many users like the color-coded, simple analog design of this sensor, mainly because it is paired with the accuracy of a digital display. This device provides both real-time temperature and humidity monitoring, and a three day high/low and averages for humidity and temperature. The humidity meter mounts using a metal disk which sticks to your humidor and a magnetic disk on the back of the humidity gauge. For the accuracy and affordability, we feel this is the best hygrometer option for ensuring a proper storage environment for your cigars. Though there are no remote reporting or alert options, it’s an extremely accurate and functional option at a low price. A few users reported issues with calibration, but most raved about the accuracy and reliability. The only other negative we noted among several users was that the screen is not adjustable, and hard to read unless looking at exactly the right angle. 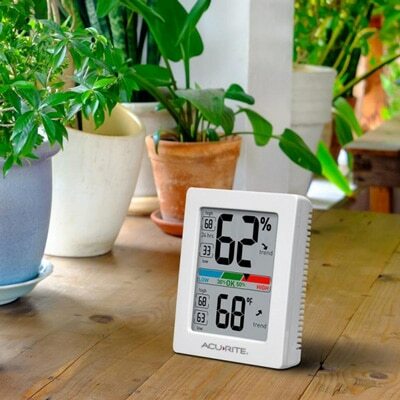 If you’re interested in monitoring multiple locations within your home, including indoors and outdoors, we recommend the Ambient Weather WS-10-X4 Wireless Thermo-Hygrometer. This device includes a central indoor console, and four remote sensors, with the ability to connect up to eight sensors in total. The temperature and humidity readings display on the console and each sensor; the console also includes its own sensor. However, the system uses a wireless signal with a limited transmission range (100 feet under most conditions), so the sensors must be within the range of that signal. With the Ambient Weather WS-10-X4, you’ll get visual and audible alarms on the main console if the temperature or humidity exceeds your pre-set maximum or minimum levels, making it easy to simultaneously and passively monitor conditions throughout your home. For instance, you can place sensors in your attic, humidor, basement, storage room, wine cellar, outside, or other areas of your home, to monitor all of them at once. The most significant downfall of this home hygrometer is the lack of a companion app to monitor conditions remotely and store data. However, if you’re looking for the best home hygrometer to monitor multiple areas around your house and get alerts when there is a substantial change, this is a top option packed with a lot of value. The Caliber IV by Western Humidor is very similar to the Caliber 4R. The main difference is the type of display: the Caliber IV is a digital display, while the Caliber 4R combines an analog and digital display for a more stylish design. The specifications and functionality are similar to the 4R with an accuracy rating of ±1% RH and the ability to re-calibrate the sensor. Both hygrometers are highly accurate and perfect for use within your humidor. We did see some user comments about difficulty with calibration. Even though it comes factory-calibrated, we always recommend calibrating a new humidity meter when you receive it to ensure accurate readings. The Caliber IV is small and slim, and has a secure magnetic mount, making it easy to fit inside your humidor. It measures both temperature and humidity and records three days of high, low, and average measurements. Like the Caliber 4R, our only complaint is the lack of remote monitoring. Regardless, the affordable price and high degree of accuracy makes it one of the best digital hygrometers for humidors. If you need a humidity gauge to measure a hard-to-reach area, the Extech 445815 humidity meter with the optional remote probe may be the best device for you. The Extech 445815 offers a large display showing the current humidity level, temperature, and dew point of the room or area it is in. Like the Ambient Weather WS-10, you can set minimum and maximum humidity numbers, and receive audible and visual alerts when humidity exceeds those levels. The most unique feature of this sensor is the remote probe, which has an 18-inch cable for measuring behind walls, in ducts, or in other areas that are difficult to access. It also includes a stand for operation on a desk or other flat surface, plus there's a bracket for wall mounting. ​The Extech is also NIST Certifiable to satisfy ISO and other regulatory body requirements for product accuracy and traceability to nationally recognized reference standards. The humidity meter does not include any remote monitoring capabilities, and the only data storage is a recall of minimum and maximum readings. For its basic functionality, it is a bit pricier, but is a perfect option for professional applications, especially if you require NIST certification or need to measure behind walls, in ducts, or other hard-to-reach areas. If you’re looking for a basic humidity monitor with first-rate accuracy at an affordable price, this is the option for you. The AcuRite 01083 is accurate to ±0.5°F and ±2% RH. A large display shows humidity and temperature, along with the high and low levels of the past 24 hours. There is also a color-coded humidity level indicator, showing whether humidity levels are too low, too high, or okay. Of course, ideal humidity levels vary depending on the person, location, and use, but the indicator is handy for a simple reference. The AcuRite 01083 is easy to stand or mount quickly anywhere in your home. It sits upright on a desk or tabletop, is wall-mountable, and includes a magnetic backing. For the most accurate temperature and humidity readings, this sensor does need to be manually calibrated. However, it comes with step-by-step calibration instructions to make the process as simple as possible. If you only want to measure humidity in one place indoors, without monitoring it remotely, this is one of the best indoor hygrometer options at a great price. Ideal conditions for a cigar humidor are 70°F and 70% RH. Use a hygrometer to monitor the humidity and temperature in your humidor. Cigars not stored properly in the correct conditions can dry up, mold, or lose their flavor and aroma, which is why cigars must be stored inside a humidor in a controlled environment. For best flavor and quality, cigars should be stored at a temperature of 70 degrees Fahrenheit, with a relative humidity level of 68-72%. We recommend the Boveda 72% Humidity Control Packs to maintain the ideal conditions inside your humidor. Many humidors come with a hygrometer, but we find there are often better options if purchased separately. The Temp Stick may be the best hygrometer for humidor use because you can view the temperature and humidity from just about anywhere, thanks to the built-in WiFi connectivity and the easy-to-use smartphone app. We love this option because you will receive alerts without the need to open your humidor if the temperature or humidity exceeds the trigger levels that you set through the app. A more affordable yet highly accurate option is the Caliber 4R or ﻿﻿Caliber IV. These are the most accurate hygrometers and are designed specifically for use within a humidor, but they do not have the remote monitoring functionality that the Temp Stick possesses. Of all the humidity monitors we analyzed, the Caliber 4R and Caliber IV are the most accurate hygrometer devices. They read within ±1% RH, and the relative humidity range is 20-90%. That means that the Caliber 4R and Caliber IV are accurate within 1% of the actual humidity, surpassing all the other options we reviewed. Even the Temp Stick, our favorite hygrometer, is accurate only to ±4% RH (which still makes it the most accurate among the remote monitors). Both Caliber models come factory-calibrated, but can also be re-calibrated by ±6%. The ±1% RH accuracy of these two sensors is extremely impressive, especially for an inexpensive, home-use hygrometer. Normally, we would expect to see that kind of accuracy from a laboratory humidity meter, which can cost up to a thousand dollars. If accuracy is paramount to you, then we highly recommend either the Caliber 4R or Caliber IV. 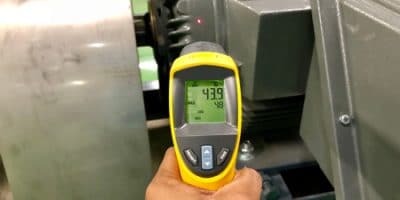 When using a humidity monitor, in all scenarios, the level of accuracy is the most critical factor. Although most hygrometers come factory-calibrated, we always recommend calibrating it yourself when you first receive it to ensure the highest level of accuracy. It's also important to occasionally check and re-calibrate your hygrometer as the measurements from the sensor can drift over time. We recommend using a calibration kit like the Boveda One-Step Hygrometer Calibration Kit to achieve the best results. The video below shows how to calibrate your hygrometer with the Boveda Calibration Kit. An accurate indoor hygrometer will measure the humidity in an enclosed environment like a cigar humidor, guitar case, or food storage container—but how do you adjust the humidity level if the conditions aren't suitable? Introducing the Boveda Humidity Control Packs. The patented technology inside the pack either adds or removes humidity as conditions require, maintaining the specific moisture content engineered into each pack. The Boveda packs are available in relative humidity levels of 49, 58, 62, 65, 69, 72, 75, and 84% and they are accurate to ±1% RH in an airtight environment. Just research the ideal humidity level for your particular application, and choose the appropriate control packs. The humidity level in your home is important to monitor and control, both for comfort and health reasons. When humidity is too high, condensation can build up on walls and windows, which can lead to water damage and mold growth. When humidity is too low, irritated sinuses and dry skin are a common problem. Here are some ways to increase humidity in your home and decrease humidity. Use a humidifier to increase the humidity in your house. A humidifier will raise the level of humidity in your home (or a particular room). They are commonly used during the winter when the air is driest. If you are running your heater as well during the winter, it's even more important to monitor the humidity levels because as you heat up your air, the relative humidity drops and its dryness will become increasingly apparent. We recommend using a large ﻿r﻿oom﻿﻿ humidifier to see the full benefits. Dehumidifiers are designed to filter the air and soak up excessive moisture, making them a good way to lower humidity levels in your home. You may want to use a dehumidifier only in certain areas, such as basements or storage spaces, to moderate humidity in these moisture-rich environments. If low humidity is a common occurrence in your home, you can address it naturally by growing leafy plants. Water from the plants will evaporate into the air, increasing the humidity. During spring and fall, the easiest way to regulate humidity in your home may be to open some windows. Doing so not only cools off your house, which decreases humidity, but it also takes advantage of the humidity outside to regulate your home's levels. Cooling your home with an air conditioner can not only lower the temperature but also regulate humidity levels in summer. Modern air conditioners remove humidity as part of the cooling process. Finding the best humidity monitor depends on a variety of factors, including the main reason for using the hygrometer, its accuracy, power source, and many more. To choose the best digital humidity meter for your specific needs, keep the following considerations in mind. A greenhouse is a common application for hygrometers. Shopping for and deciding on the best humidity gauge largely depends on where you plan to use the device. Are you looking for the best indoor humidity monitor, the best hygrometer for cigars, or a hygrometer for your greenhouse? Below are some common applications for a digital hygrometer. If your digital hygrometer is for basic home use, you may not need the same precision as you would for a cigar humidor. Do consider exactly what your home needs are, including whether you want to monitor multiple rooms simultaneously, where you need to place your humidity gauge, and whether you require remote monitoring and real-time alerts. For instance, you may need a system with multiple sensors for indoors and outdoors or a remote sensor for hard-to-reach areas such as an attic. If you're mostly interested in the outdoor weather conditions, then a home weather station will be a better instrument for your needs. 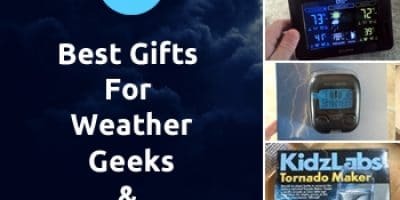 Take a look at our home weather station reviews to see the top models. Understanding these factors will ensure you purchase the most accurate hygrometer for your home use, which caters specifically to your individual needs. A humidity meter is a critical instrument to keep cigars fresh and full of flavor. So you may have different factors to consider to find the best cigar hygrometer. Accuracy is the key here, and we find the hygrometers that come with humidors are often low quality, so it may be worth purchasing a separate high-quality hygrometer to monitor your cigars effectively. Make sure it is small enough to fit in your humidor, and consider how you will mount the device. Some users find that a mounting mechanism such as a magnetic mount can be beneficial. Determine if you want to invest a little more in a hygrometer with remote monitoring capabilities to monitor the conditions from your smartphone, or if a simpler device is sufficient. A musical instrument is a significant investment, so it’s critical that you protect it properly to prevent warping, cracking, shrinkage, or other costly issues. That’s why experts recommend always storing the instrument in its case. An important factor in keeping your guitar (or other wooden instruments) away from the repair shop is the level of humidity it is stored in, which can be harmful even within the case. Protect the integrity of your guitar by placing a humidity monitor inside the case with a Boveda humidity control pack. To keep your reptiles healthy and happy, it’s essential that you monitor humidity and temperature levels within your terrarium. Do a little research on your particular pet to understand the ideal temperatures and humidity levels. When choosing a device, you may want to get a combination thermometer/hygrometer, but make sure it fits your needs for both measurements. For instance, if your pet has a basking area and a cooler area, experts recommend monitoring temperatures in both spots, so you may need two devices. 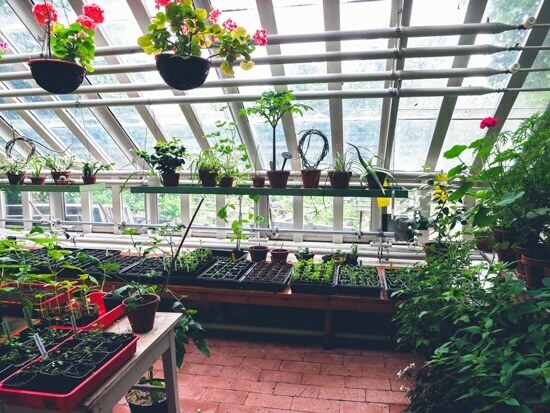 To properly care for the plants in your greenhouse, you will want to monitor the conditions to provide the best environment for your plants to thrive. A digital hygrometer will help you control humidity levels, particularly as they change during different seasons or times of the day. There is not one ideal humidity level for a greenhouse, but rather it’s important to understand the correct conditions for your own plants and limit any dramatic changes in the conditions, so they do not suffer adverse effects. As explained earlier, accuracy is a critical concern in determining the best humidity meter for you. Do you need an extremely precise humidity meter, or will a standard, inexpensive device be sufficient? Be sure to check accuracy ratings and ranges when evaluating your options. When reading digital hygrometer reviews, look for the ±% RH rating, this is the margin of error that the sensor has. The most accurate humidity sensors on the market have a margin of ±1% RH, but up to ±4% RH or even a little higher is sufficient for many purposes. An important consideration to keep in mind when shopping is the power source and battery life of a device. Is it wireless or does it need to be plugged in? If wireless, what type of batteries are needed and how long is the expected battery life? A highly beneficial function of the top hygrometers is remote monitoring and alerts. In other words, you can monitor your device remotely from an app, and receive alerts if levels exceed your pre-set limits. Our top choice, the Temp Stick, has WiFi connectivity to deliver these remote capabilities. You will pay more for the Temp Stick and other remote temperature monitors, but the functionality is worth the extra cost for the 24/7 monitoring to avoid any expensive and irreparable damage to your property or possessions. Among the devices that do include remote monitoring, check into the specifics. Can you customize the alerts you receive and can multiple users receive the alerts? How often does the device measure and report readings? These variations can make a big difference in whether or not you'll ultimately be satisfied with your purchase. If you need to monitor several locations simultaneously, such as multiple rooms within your home, you'll need a hygrometer that can connect additional sensors to the one system. Consider how many areas you need to monitor, as well as the distance between them, as many devices have a limited range. Consider the user interface of each device when exploring different models. Is the display clear and easy to read? If you (or the intended user) is older or has trouble seeing, will the display be large enough to see? If there is a companion app, is that interface easy to navigate and understand quickly? Focus on photos of the product, as well as what reviewers say, to get a good idea of the quality of the user interface. When looking at different options, consider if you need or want to access historical data. Some devices log unlimited data, which may be necessary if you need a historical report of the humidity levels. On the other hand, some hygrometers capture a limited amount of data such as the high and low for the past 24 hours, and some devices have no data storage options at all. If you need a particularly precise hygrometer (such as for industrial uses) to satisfy ISO and other regulatory body requirements for product accuracy and traceability, be sure to look for one with a NIST certification, which is a nationally recognized calibration standard. Of course, the price is always an important consideration when shopping, but it’s vital to evaluate each price in the context of features and accuracy. For instance, a more expensive hygrometer with remote monitoring may be of better value in the long run, in comparison to a small and cheap hygrometer with no smartphone app. As you can see from our hygrometer reviews, we mainly focus on electrical or digital hygrometers as they are the most common and advanced models. Learn about the four main types of hygrometers below and how they measure the humidity in the air. Electrical hygrometers use either resistance or capacitance to measure humidity. Resistive hygrometers measure the change in resistance as electricity passes through a piece of ceramic substance (more water vapor condenses inside the ceramic as the air becomes moister). Capacitive hygrometers measure the electric charge between two metal plates, which changes as humidity rises. A psychrometer uses two thermometers (one with a dry bulb and one with a wet bulb). Humidity causes evaporation in the wet bulb, which lowers the temperature. The difference in temperature between the two bulbs is used to calculate the amount of moisture in the air. Dew point hygrometers are the most precise, typically used in areas where even the smallest amount of moisture must be detected. These hygrometers typically contain a polished metal surface. As humidity rises, moisture condenses on the surface, which is used to measure the current humidity. Mechanical hygrometers use an organic substance such as human hair, which contracts and expands as humidity changes. That contraction or expansion causes a needle on the dial to move, indicating the amount of moisture in the air. Whether you're keeping your home's relative humidity at healthy levels, ensuring proper storage of priceless artwork, or monitoring your cigar humidor—closely tracking the humidity in the air is extremely important. A digital hygrometer can give you a precise reading, so you know exactly when the conditions need to be adjusted. There are many humidity meters on the market, with a wide variety of features, accuracy, and prices. Some hygrometers are basic devices that measure humidity in one spot. Others may include several sensors to monitor the conditions in multiple areas, and some allow for remote monitoring through an accompanying smartphone app. Based on our extensive research, the best hygrometers are the Temp Stick, SensorPush and Caliber 4R. In particular, for most applications, we highly recommend the Temp Stick, especially if you need a device for remote monitoring. If you're a cigar enthusiast and require a more affordable and accurate hygrometer for your humidor, then we suggest the Caliber 4R. Don't forget to calibrate your humidity gauge with a calibration kit when you first receive it and re-calibrate it periodically to maintain the accuracy of the readings. Maintaining the wrong level of humidity in a room, building, or enclosed space can impact health, interfere with storage conditions and damage expensive possessions. It’s essential to monitor the humidity levels with an accurate and reliable hygrometer. After reviewing the top models on the market, we found that the devices with remote monitoring capabilities for alerts and observation through a smartphone app are the best options. In particular, the Temp Stick device is our number one choice, it’s accurate, reliable, and you can monitor your property and possessions from just about anywhere with the WiFi connectivity.